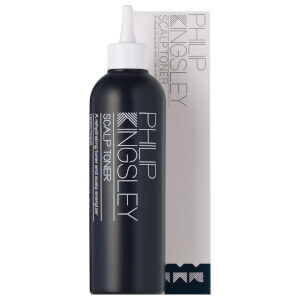 This great, highly concentrated product is designed to smooth your hair, leaving it incredibly smooth and supple. Philip Kingsley Elasticizer even has an added sunscreen protection. It’s super moisturising and highly concentrated, smoothing each strand to incredible silkiness. Its elasticising effect improves suppleness, stretchability, strength and shine whilst leaving your hair softer, less brittle, beautifully manageable and lustrous. Elasticizer is the weekly thirst quencher your hair needs to beat dryness. Before shampooing, wet your hair thoroughly. Apply Elasticizer in sections throughout your hair. Work in with your fingertips, especially at the ends. Leave in for 2 to 3 minutes. For very dry or damaged hair, cover your hair with a plastic cap after applying the Elasticizer and leave it in for 10 minutes. My hair was always my best feature until it started dramatically thinning out a year ago. My hairdresser gave me an Elasticizer treatment and I bought a jar to use at home. Within a couple of applications the hair loss slowed down and after a couple more, stopped altogether and now the condition of my hair has never been better - it is strong and shiny and full. At the beginning I applied it twice a week but now use it about once. I usually leave it in longer than the instructions before rinsing it out. I've given samples to several friends who love it as much as I do. For me, it's become my 'can't live without' product. Great treat for the hair! Bought this to try after reading all the rave reviews and I was not disappointed! Hair felt soft and immediately hydrated after one use! A definite keeper! I have fine Asian hair. Amazing. My hair feels like silk after I've used this. I cannot get enough of this product. Tried the extreme one too but was a bit too much for my fine hair. This is the best product on the market. It makes your hair shine, brings out the highlights, and makes your hair so manageable. Certainly will not be without it. The product i have ever used in this category..thanks! This is an excellent product and a little goes a long way. My only complaint is that it is a pre-wash treatment so when you're busy during the week it may not be the most convenient. However it is worth taking the time as it really makes a difference to hair even after one use. Would definitely recommend. Excellent product, I left on over night for an extra boost. I have really fine, dry & thin hair (I am not blessed!) but this worked a treat - will continue to use. I had a sample of this product from somewhere else in a gift set, it is amazing, I absolutely love it and for ladies of a certain age it works wonders. Worth every penny especially when purchasing from lookfantastic.